The publication is the first one to discuss obstetric care in the Slovak Republic from the perspective of women’s human rights. Besides filling the gap in knowledge of problems women face in relation to childbirth, it is also innovative in terms of research methodology. It summarises the results of more than two years of intensive efforts of our organisation in cooperation with NGO Women’s Circles that promote the human rights of women in Slovakia, which carried out a pilot study and monitoring. In collecting and processing the various data, an inter-disciplinary team of experts combined standard methods of social scientific research with methods used in human rights monitoring, one of them being the Free Access to Information Act mandating public authorities and maternity wards to provide information. Authors of the publication managed to offer many key perspectives currently missing in obstetric care in Slovakia, including both the authentic experiences of women, and a women’s human rights perspective, among others. Nowadays, obstetric care in Slovakia is monopolised and institutionalised, being concentrated almost exclusively in healthcare facilities. This, combined with women being particularly vulnerable during pregnancy and birth, makes obstetric care a specific phenomenon demonstrating a power imbalance. The imbalance of power deserves critical and independent examination, as well as examination reflecting the dissonance between the authentic experience of women, and the as yet unchallenged authoritative views of medical science and practice representatives. One of ambitions of this publication is thus to bring closer attention to public policies, the presence (or absence) of which maintains and supports the status quo, and negatively affects women and their families. The publication also opens up room for public discourse, which has similarly long lacked a human rights perspective on issues related to obstetric care. Notably, a professional debate grounded in particular research findings can in the future promote the equal, respectful, and effective cooperation of all parties involved, including those who are the primary subject of this care. Discussion and any subsequent cooperation on changing the way obstetric care is provided will be more effective the more it reflects human rights perspectives. Crucial to these perspectives is the recognition that women are bearers of rights, and they have the right to decide on matters that concern them. In contrast, healthcare providers, along with the state, are the primary holders of the obligations and responsibilities of fulfilling these rights. This, too, is a message of the present publication. We published the publication in cooperation with NGO Women´ Circles and financial support of Open Society Foundations and the NGO Fund of the EEA Financial Mechanism 2009-2014 administered by Nadácia otvorenej spoločnosti – the Open Society Foundation Bratislava. 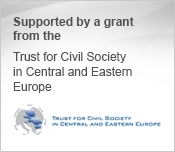 The Project Advocacy activities focused on the improvement of institutional protection and support of human rights in the Slovak Republic with the emphasis on the prevention of violations of the human rights of women and on consistent implementation of the principle of gender equality in public policies was supported by the amount of 46 424,90 EUR from the Fund for Non-governmental Organisations of the EEA Financial Mechanism 2009-2014. The Fund is managed by Nadácia otvorenej spoločnosti – the Open Society Foundation. The aim of the Project Advocacy activities focused on the improvement of institutional protection and support of human rights in the Slovak Republic with the emphasis on the prevention of violations of the human rights of women and on consistent implementation of the principle of gender equality in public policies is the support of democratic values including human rights.